Jenny and Pat Spain thought they had the perfect life. They were happily married, had two darling kids, and they’d bought a dream home on a new estate in Broken Harbour. Then the Irish economic boom came to an end. Their house was poorly built and situated on an unfinished estate far from friends and family and Pat lost his job. Added to that was a sense that someone was entering their house and stealing things and a strange animal was living in the attic. Then the police get a call to say that the children have been smothered, Pat fatally stabbed, and Jennifer is fighting for her life. Michael Kennedy of the murder squad is assigned to the case with rookie detective Richie Curran. 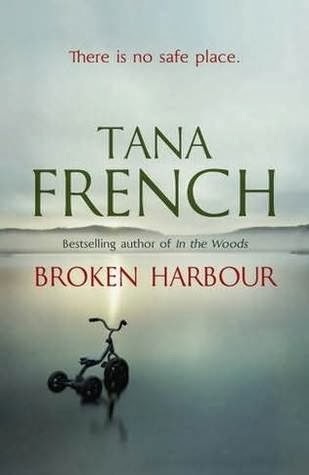 Kennedy is a model professional, but Broken Harbour is the site of a dark episode of family history that threatens to disrupt the investigation. 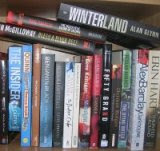 Broken Harbour won the Crime Fiction Book of the Year at 2012’s Irish Book Awards. The story has a very contemporary feel, concerned with the murder of a family on a ghost estate in post-crash Ireland. Where the book excels is with respect to providing a highly detailed account of an investigation that microscopically charts the procedural elements. It also has a strong sense of place and in-depth characterisation. These come, however, at the expense pace and length. The style adopted is to reproduce the entire case, including whole conversations that often go on for pages without adding much to the plot. It’s an interesting approach, creating a certain enclosed atmospherics. However, it felt as if a good quarter of the text could have been edited out without impacting on the plot or its affective resonance. At times the plot veers towards melodrama, some of the elements are difficult to believe, and it relies a little too much on lengthy confessions, but nonetheless it provides an engaging story. Overall, an entertaining if overly long tale. I very much agree with you on this one, Rob. I had high hopes for this based on Declan Burke's love of it but it was the first French book I couldn't get into.